It was great to return to Extravaganza Productions as musical director, working with some friendly familiar, and new faces. With a very talented, fun cast & crew, making the job very enjoyable all around, especially with the very talented comic, Scott Gallagher (Buttons) who always does a grand job of including the band into the show, with lots of interaction. This really encourages the band to go for it and have some fun, rather than the old fashioned approach of being locked away deep within the orchestra pit, never to be seen. The whole company had a blast and this really showed in the performances. 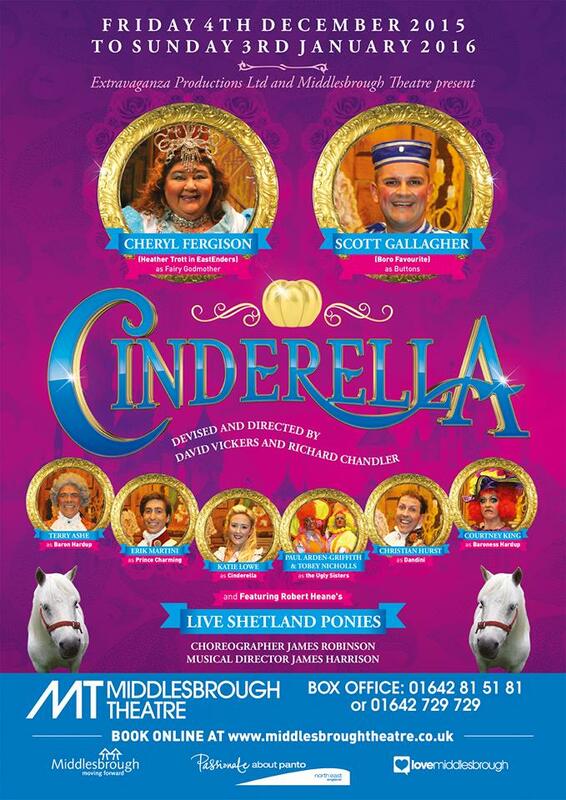 The show starred Cheryl Fergison (known from EastEnders as “Heather Trott”) as Fairy Godmother. Also featuring Katie Lowe as Cinderella & Scott Gallagher as Buttons.